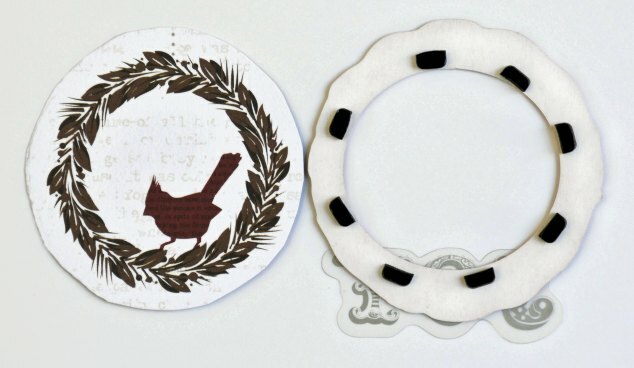 One of my favorite things to get into the holiday spirit is to make Christmas ornaments, especially paper crafted ones. I love that homemade touch on our tree. 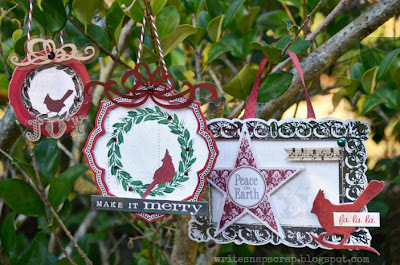 This year, I made Christmas ornaments using lightweight chipboard frames, patterned papers and small embellishments. 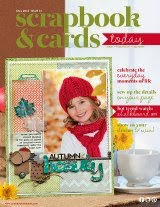 Holiday paper is of course best for this project but you can also use non-holiday lines for a bolder look. I started with the new Once Upon A Time collection from Little Yellow Bicycle. I love the red cardinals featured throughout this line and wanted to spotlight the pretty birds. To make the two smaller ornaments, I used the “hanging wreaths” patterned paper in this collection and two round frames from the chipboard shapes. I pop-dotted the paper and chipboard together to give a little dimension then embellished the ornaments with sentiments and bows from the clear cut shapes. 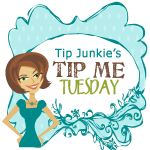 To hang them, I added Peppermint Stick twine from Trendy Twine. To make the large ornament, I used the Vintage Santa paper in the frame, then embellished it with a tag, a vellum tape pennant and a cardinal from the fabric favorites. I don't have my tree up yet, but you can get a feel for how the ornaments would look on a Christmas tree in this photo. This type of ornaments isn't limited to holiday paper. I also made chipboard frame ornaments using The Good Life collection from Fancy Pants Designs. 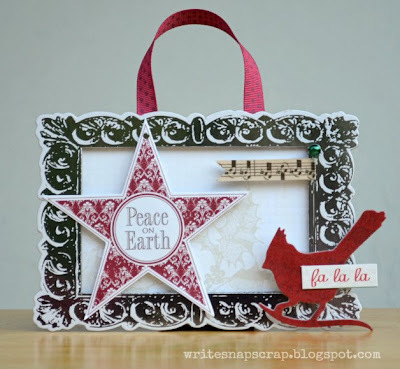 This line was included in the November kit at My Creative Scrapbook. 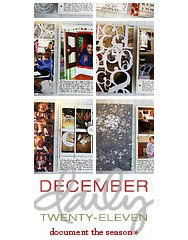 I loved the decorative chipboard in this Fancy Pants line and the way the chipboard frames could be layered. On each of these frames I layered a plain small frame on top of a larger, decorative one. 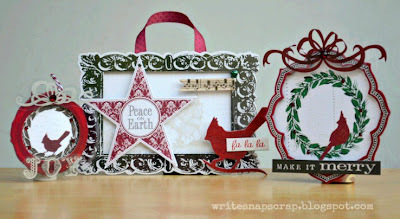 I backed each frame with patterned paper then added sentiments and small embellishments. 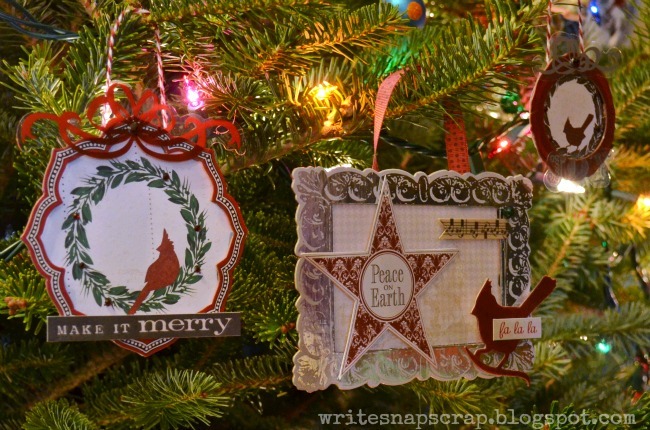 There you have it: quick and easy Christmas ornaments. 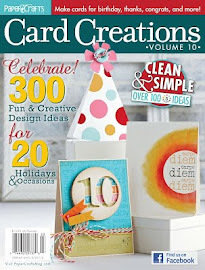 Adding these to Paper Issues holiday linky party and to Tip Me Tuesday. these are all FABulous!!!!!! Love them!!! 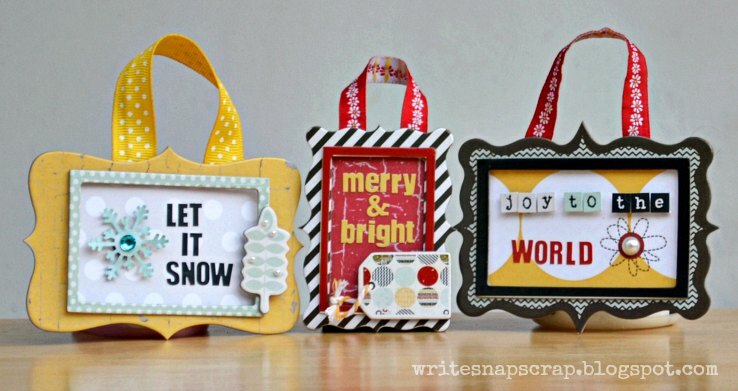 these ornament frames are so awesome izzy! SERIOUSLY WOWWWWWWWWWWWWWWWWWWWWWWWW!!! These are ABSOLUTELY gorgeous!! WOW WOW WOW!!! I am in awe!!! I loveeeeeeeeeeee the colors!!!!!! LOVE how you also made a colorful ornament set! These are so pretty! 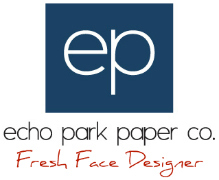 Great papers for them too. These are the perfect pairing of paper, chipboard and other embellishments! I love them all! So cute & festive! Hard to believe the holidays are almost here! These are beautiful and festive! I love them Izzy! So different from other ornaments I'm seeing! 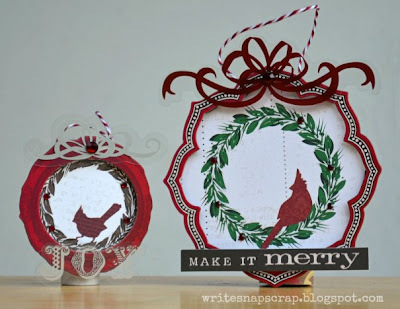 I love these ornaments, the paper and frames are beautiful and so elegant. I found you through the Paper Issues linky. Love what I am seeing and just became a follower! Izzy, I love these! 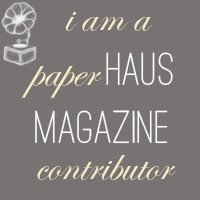 I'm sharing them today on the Paper Issues Blog.